As it enters its 101st year, the NAACP continues to have its work cut out for it. High unemployment, racial conflict and partisan politics tear at the country's fabric, and financial uncertainty ratchets up the tension underpinning everything. The civil rights group held its annual national conference in Kansas City, Mo., this past weekend, under the theme "One Nation, One Dream," to address these problems and more. Under the leadership of its 37-year-old president, Benjamin Jealous, the group hopes to help unite a country being rent asunder by what Jealous calls "a small, privileged demographic committed to tearing this country apart." The Root spoke with Jealous about how best to combat the divisiveness and move forward. The Root: In your view, what are the main issues dividing the country? 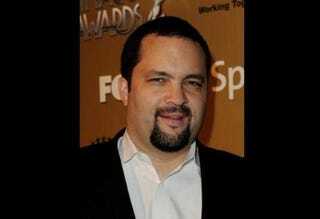 Benjamin Jealous: The country is currently being split by simple financial fear and insecurity. People are terrified about jobs, the Gulf Coast is broken and we're in a massive foreclosure crisis. And when people get scared, the first thing they often do is get defensive. The second is blame other people. What we know is neither one of those is helpful in our mission. Those things often do little more than help divide people, whether it be because of station or race. It doesn't help drive the nation uphill toward progress. TR: The NAACP has released a study claiming that BP is prejudiced in its cleanup hiring. Please talk a bit more about that. BJ: It's completely disproportionate. Any job that has to be done out there, the people should be properly equipped, and it should not be the case that one community is disproportionately asked to take the risky jobs while at the same time being excluded from the more lucrative opportunities. It's the combination: On the one hand, there's a disproportionate presence of blacks in jobs in which they're in direct contact with toxic materials and oil, all without proper protective gear. Then there's also the problem that people of color are being excluded from the contracts to help in the cleanup effort. Either is unconscionable, but together, they're both magnified. TR: What is your take on the Oscar Grant shooting trial verdict, where a white cop in Oakland, Calif., received an involuntary manslaughter conviction for shooting an unarmed, handcuffed black man in the back? BJ: We hope and pray that the sentence will be as long as possible. We are deeply troubled that they convicted the officer of the least crime possible. It's hard to look at that video of that officer raising a gun to that passive young man's head and believe that what he did was involuntary. It's just hard for me to understand. There is a need for a uniform standard of accountability for all law enforcement. We're the only country in the Western world that does not have a standard for use of force, and for how we'll prosecute officers who abuse it. France has one; England has one; the Netherlands has one; Canada has one, but we don't have one. What we have are state standards that are horribly vague. We don't have a nation that enforces what our expectations are for how you treat people. I implore people to look at the video. I ask people to move beyond their jaded feelings about this issue and watch it, and then ask their friends and neighbors and sisters and cousins and parents to watch it. Because it is troubling, what happened to Oscar Grant. And the verdict is troubling. We need to begin sending a message that not only will officers be convicted of crimes but they will also be treated as criminals if they act as criminals. TR: In what ways does the NAACP plan on being a part of immigration reform? TR: What does the NAACP believe America can do to promote job growth among black Americans? BJ: We've got to promote job growth throughout the country; that's more important. And if you do that, black people will benefit. Because the good thing about jobs is that as they're made; they self-replicate. As more money enters the economy from jobs, more jobs are created to compensate for more business. The way that we got out of the Great Depression is how we're going to get out of the Great Recession. We have to be dedicated as a country to job creation, which means spending. If it costs money, so be it. When Congress says we have $80 billion for war but we don't have $23 billion to get hundreds of thousands of teachers jobs, and we don't have money to immediately extend unemployment insurance, our priorities are exactly backward. We have an administration that understands we need to be spending more money to create jobs, but we have a Congress that is timid, and that is terrifying its constituents. TR: The NAACP's latest theme is "One Nation, One Dream." What exactly does that mean? BJ: History has shown that when countries hit hard times, people are ultimately faced with two choices: They can either run downhill at full pace, or they can push uphill toward hope and progress. You can either tear the country apart or do the hard work of building the country back up. We now know that there is a small, privileged demographic committed to tearing this country apart, so we decided that it was important to put out another vision. The vision of the NAACP — and note that it's been over 101 years since we were founded on the 100th birthday of Abraham Lincoln — is to pull this country together. We are dedicated to being that one nation, under God, indivisible, with liberty and justice for all. That's what One Nation is all about: really calling on the country to revive and redirect the nation toward the idea that we should all have opportunity, access to justice, fair treatment and great futures. The One Dream is the American Dream, that common concept that has really motivated the push to unite the country over the years and to break the barriers to opportunity.